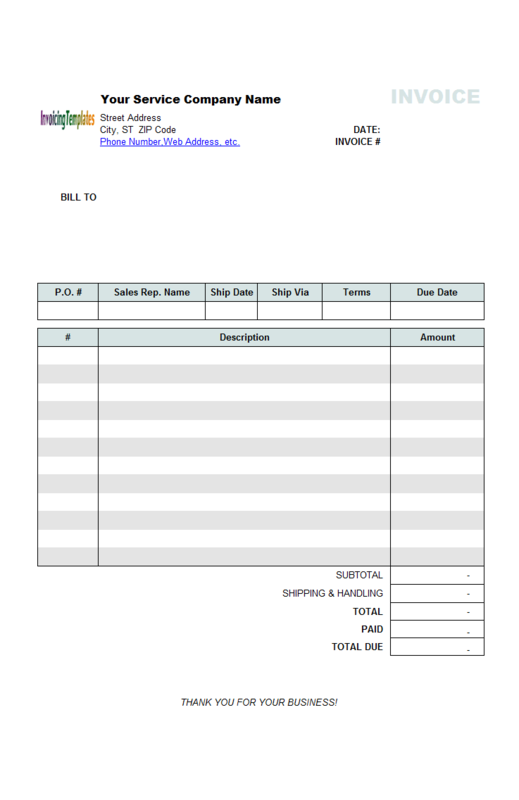 Simple 2-Column Service Bill Sample was originally published on office-kit.com with the ID# of c2-003. 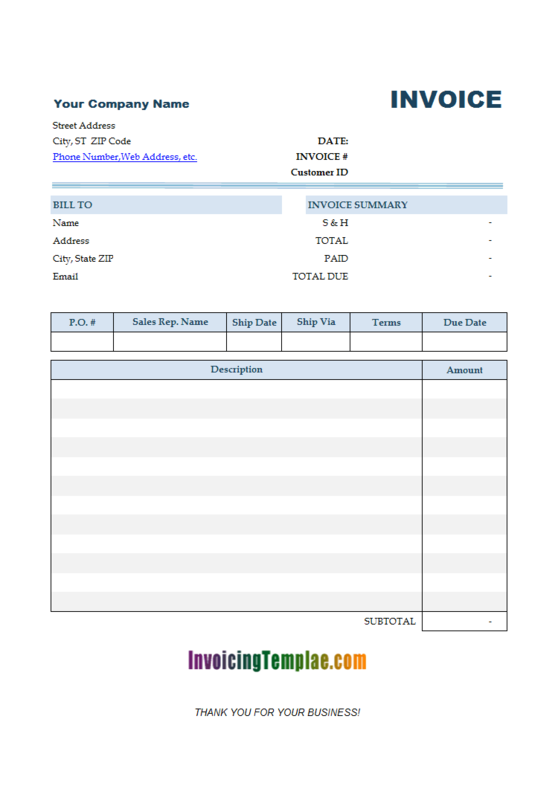 The main features of this Excel invoicing templates are: 2 columns, no shipping address section, no taxes (configurable), and the summary section moved to the top of the invoicing form. 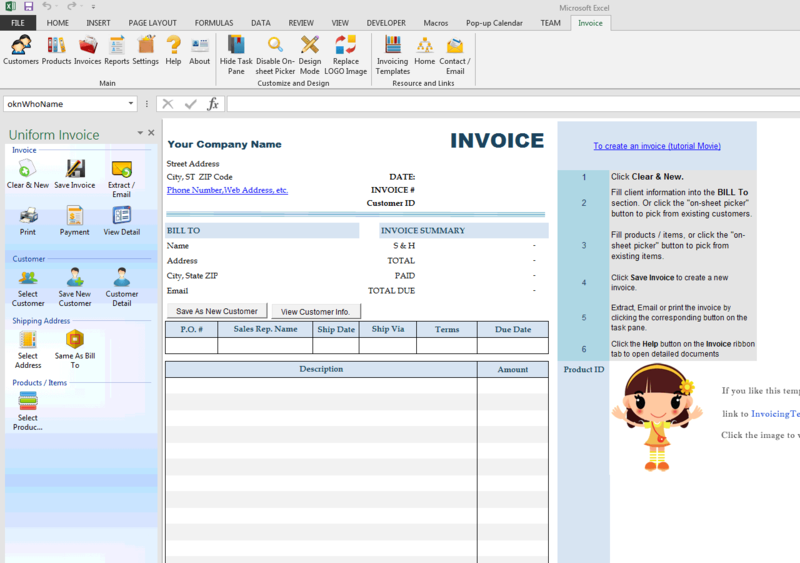 c2003 now includes the customized invoice template for the latest version of Invoice Manager for Excel. 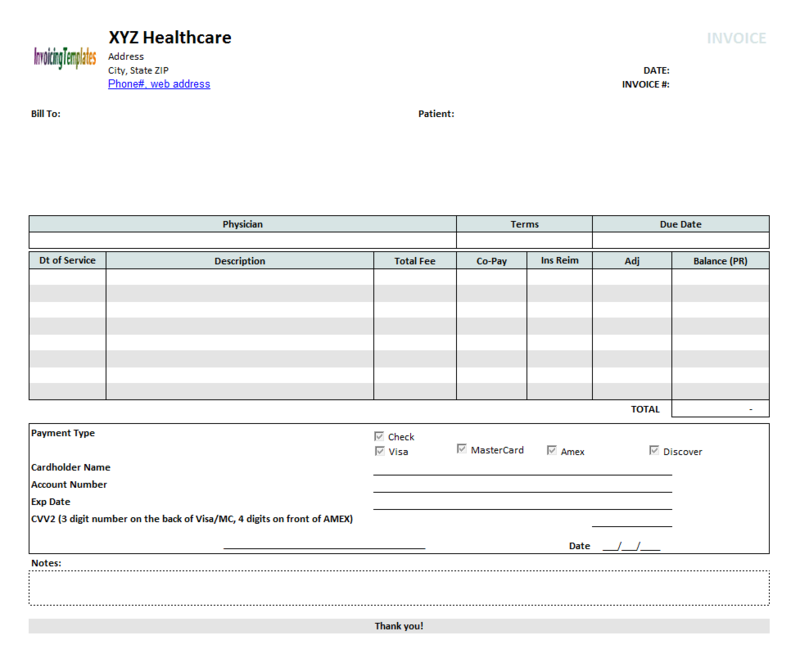 This is what you will see when you open simple2columnserviceinvoice.xlsx. 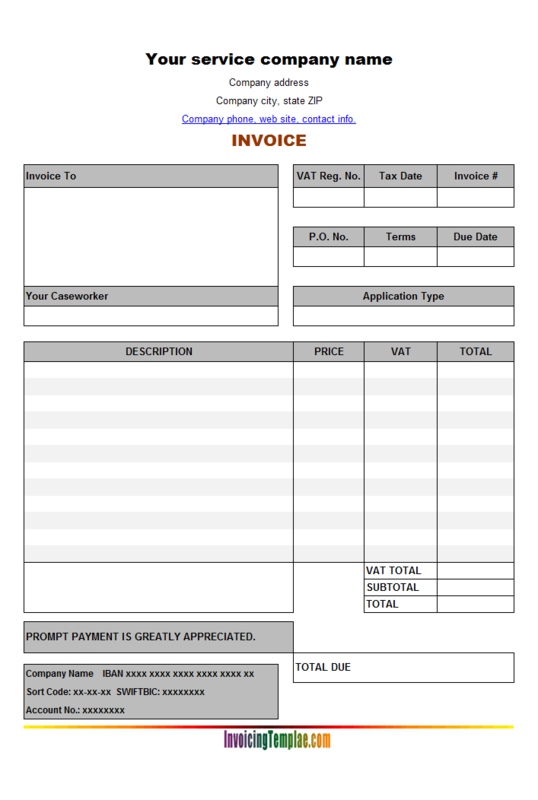 If you browse our Excel invoicing and billing template galleries here on InvoicingTemplate.com, you may noticed most templates has the summary section put below the detail section - this is a usual design. 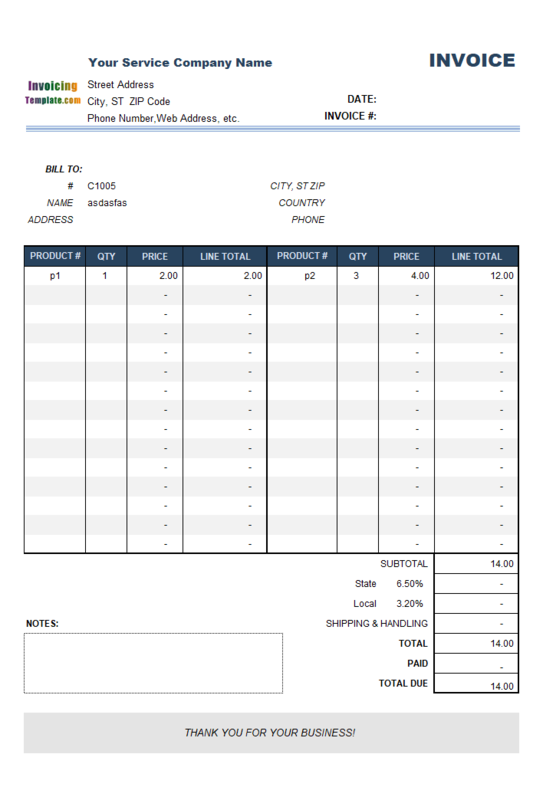 With this template design, we moved the shipping address section out of the printable area, and blank area left is filled with the summary information. 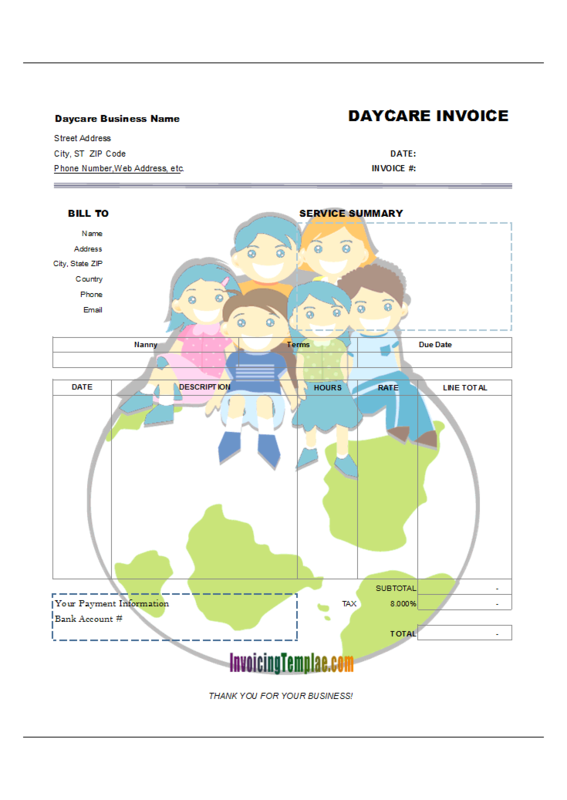 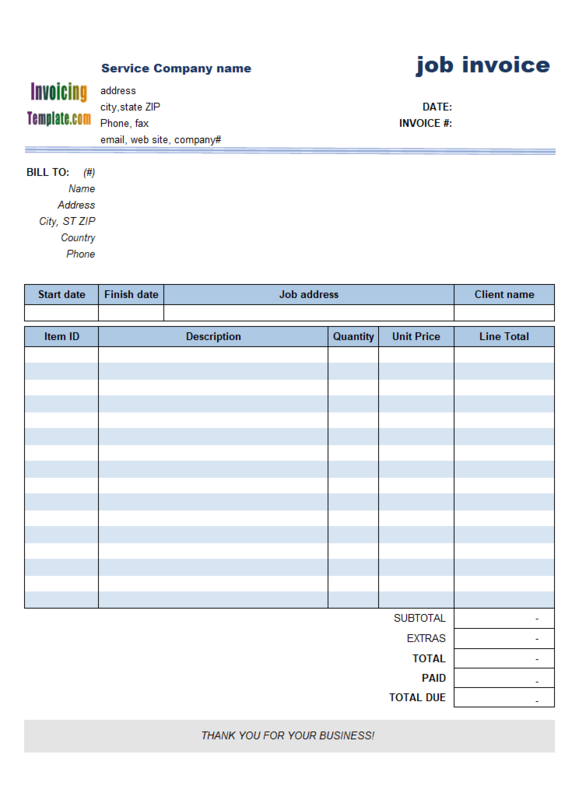 Simple 2-Column Service Bill Sample, like most templates available here on InvoicingTemplate.com, has a default LOGO image place on the top of the invoicing form. 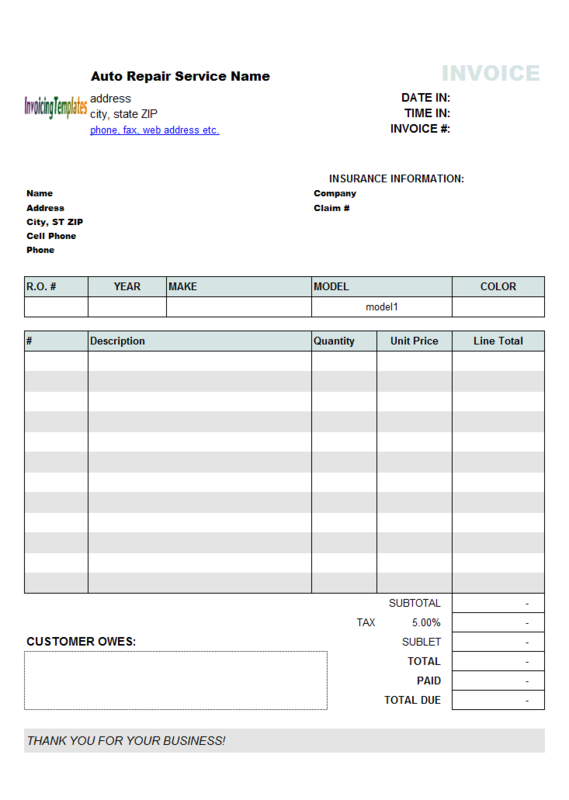 You should replace it with your own logo image. 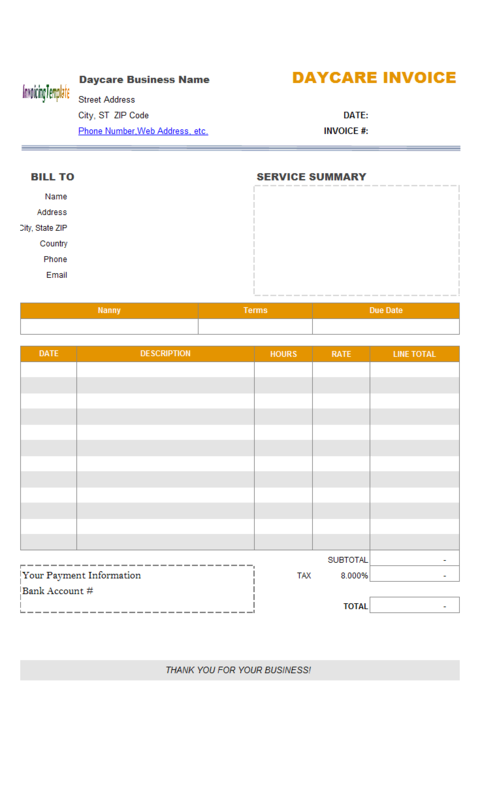 Like other form designs here on InvoicingTemplate.com, Simple 2-Column Service Billing Form is free (offered to you at a price of 0.00USD). 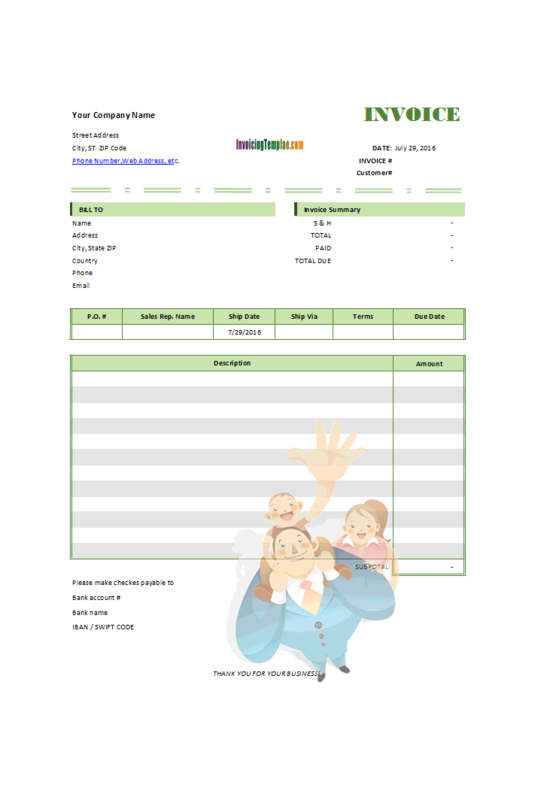 It works on Windows XP and all newer versions of Windows, and Excel 2007, 2010, 2013 or 2016. 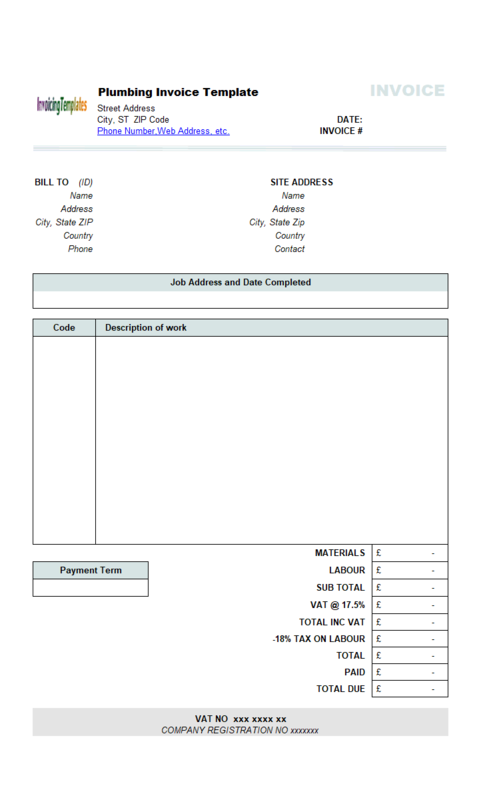 Removed "oknCounrty" field from the form. 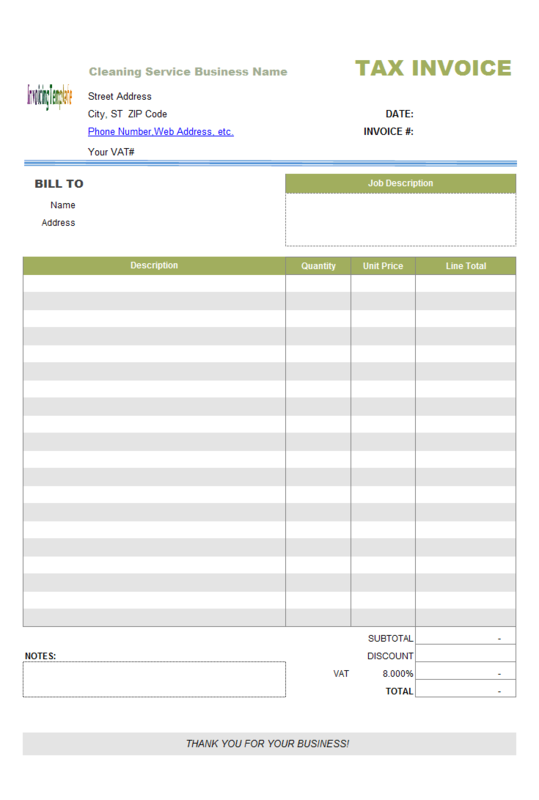 Added "oknWhoEmail" field to the form. 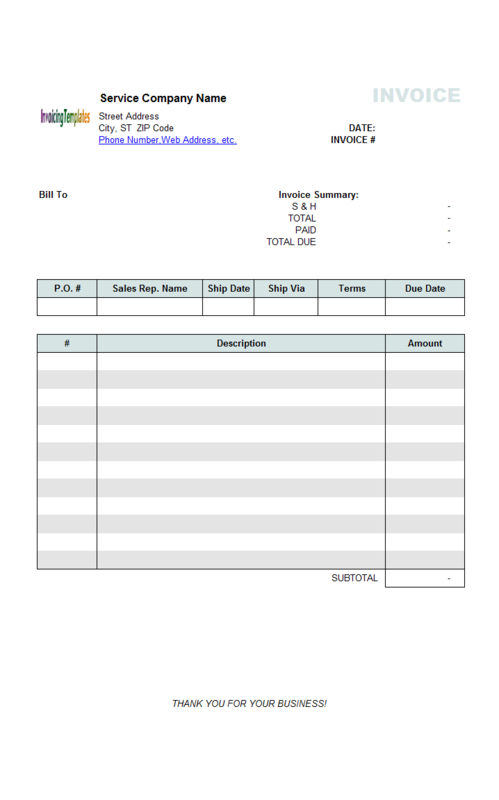 New light blue color theme. 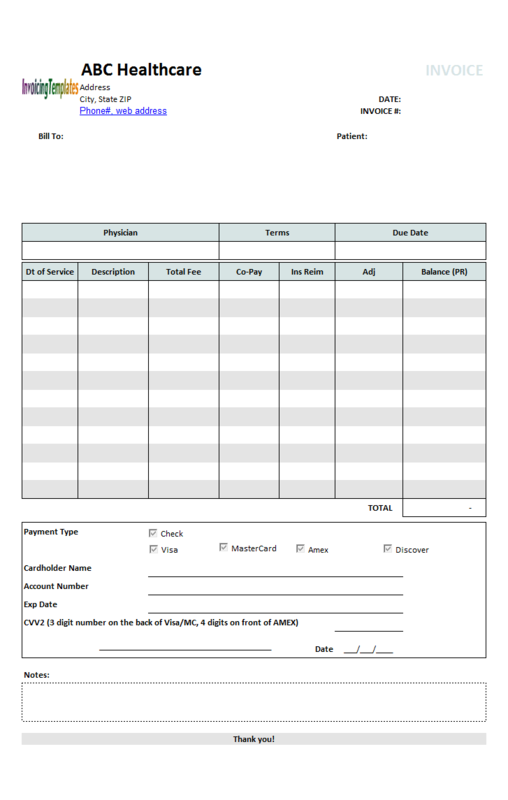 Applied the default "normal" print margins.